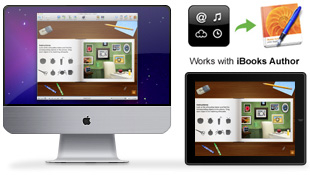 HyperStudio AUTHOR is an elegantly simple way to create extraordinary interactive books for the iPad. This new app creates HTML5-based media elements that can be dropped into Apple's free iBooks Author, and the resulting iBooks can be distributed freely, or published on Apple's iBook store. Teachers can prepare interactive presentations and download them onto students' iPads in the form of iBooks. Students will be able to tell their stories in a professional eBook form with highly interactive multimedia content they create themselves with HyperStudio's award-winning drawing, painting and presentation tools. 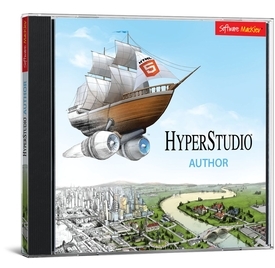 If you are already using HyperStudio 5, then you know how to use HyperStudio AUTHOR. You can start by importing your HyperStudio stacks, or create new interactive stacks from scratch. Either way, you can't go wrong since HyperStudio AUTHOR contains only those HyperStudio 5 features that will work in an iBooks Author project. That way, you create perfectly compatible interactive iBook widgets every time. • Export for iBooks Author creates fully functional widgets that you can add to your iBooks Author projects. • Publish to server allows you to export stacks as HTML5 Web apps to the remote server of your choice. • Web App Icon Editor lets you create an icon that viewers will see when bookmarking a stack-based Web app on mobile devices. • Multi-windows interface provides an easy and intuitive way to share content across projects. • Full-screen view lets you browse your stacks using the entire display. 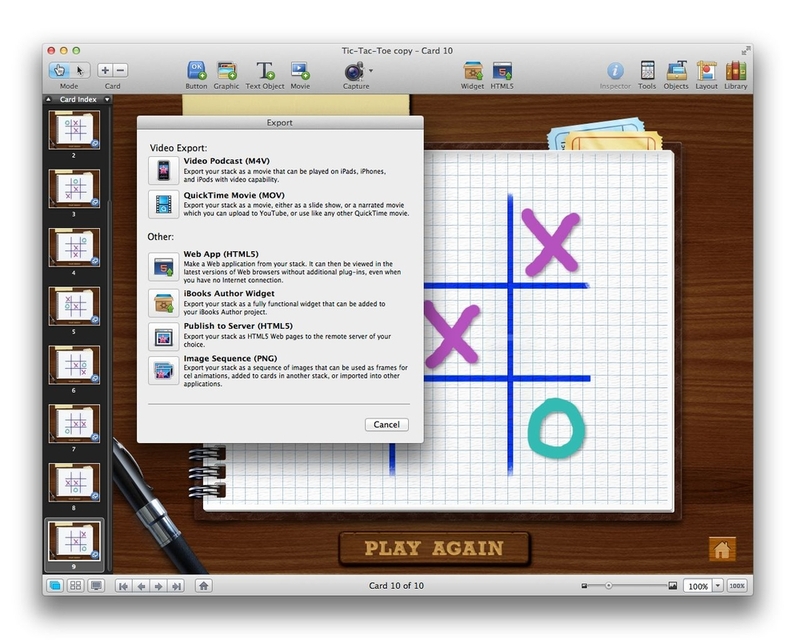 • Drag-and-drop enables the authoring of interactivity, for quizzes, puzzles, games, and more. • Path animation offers you the ability to completely customize the paths that objects travel in your stories. • Snap-to feature allows your audience to associate objects that snap magnetically into place. • Tutorial window displaying HyperStudio AUTHOR's built-in tutorials over other stacks makes learning to create exciting iBooks widgets simple.